After both struggled to get any momentum going to start the season, the Texans and Bengals will do battle on Thursday night each looking for their first win. The Houston Texans and Cincinnati Bengals each put up some of the worst performances in the opening week of the 2017 regular season, with the Texans getting lit up by the Jacksonville Jaguars at home and the Bengals getting shut out on their own field by the Baltimore Ravens, as well. Now, the two teams each head into Week 2 with 0-1 records, and they’ll each be battling for their first win of the new year as they look to bounce back from their respective losses to open up the season. The Texans’ quarterback situation is in a bit of a pickle, with Deshaun Watson seemingly the man the team plans to go with under center after Tom Savage’s struggles against the Texans, depending on any potential injuries to Watson. 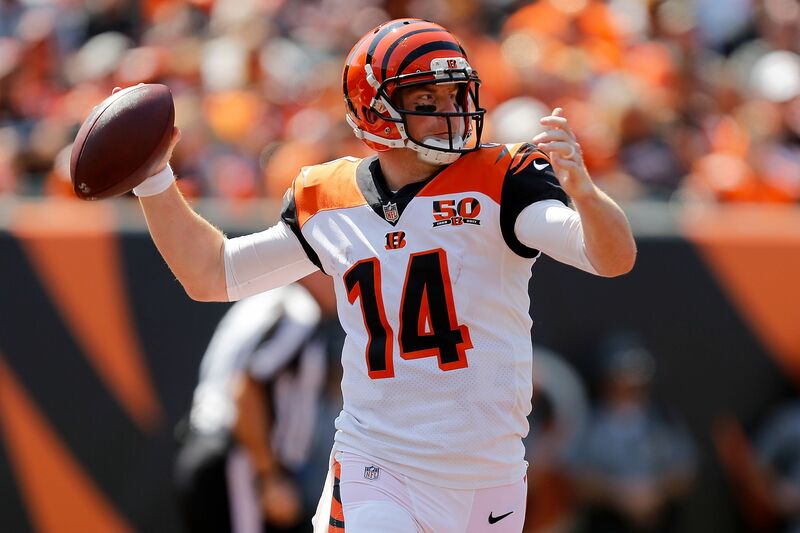 On the other end, Andy Dalton needs to get his act together for the Bengals, as the quarterback turned the ball over seemingly a million times against the Ravens on Sunday. The Bengals are laying five points at home, according to SportsBook Review. It’s tough to pick a score for this game, considering how much each team struggled offensively in Week 1 and how each doesn’t look to have a ton of weapons to utilize in their respective lineups. The Bengals are going to need to work on getting guys like A.J. Green, and even new additions like Joe Mixon, involved in their offense if they’re going to have any hopes of succeeding on Thursday night, and it’ll be tough against a potentially tough Texans defense. The Texans gave up 29 points to the Jaguars last week, so it’s tough seeing them bounce back against a potentially stacked offense against the Bengals on Thursday night.